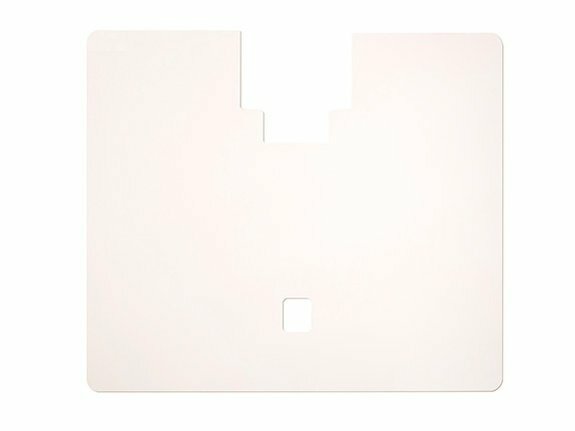 This white plastic overlay attaches to the HQ Sweet Sixteen tabletop to create a continuous surface for use with the TruStitch™ stitch regulator. It includes double-stick tape for permanent installation on the table. Dimensions: 37 x 31 x 2 in.